Five fun and simple ideas for a greener spring (and you don’t need a garden). 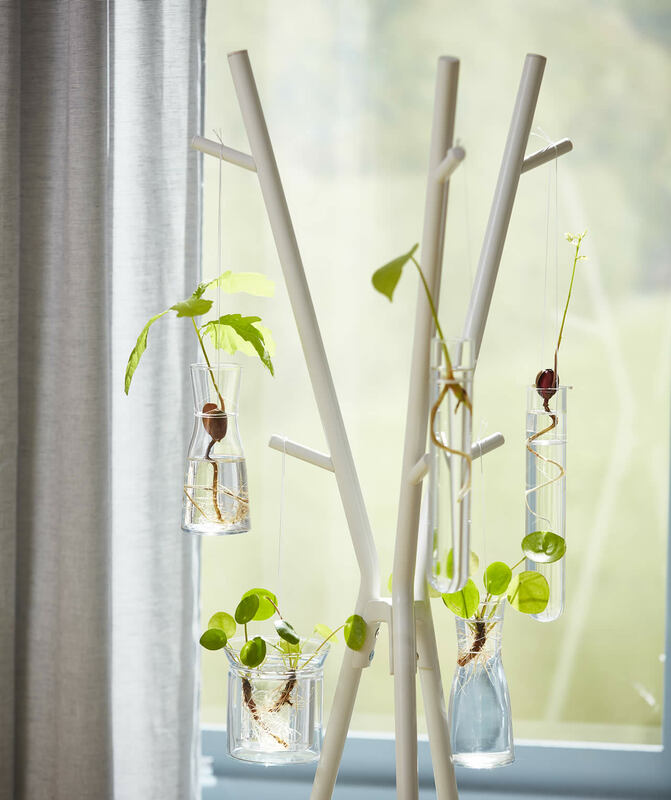 Arrange a garden of cuttings with the help of a coat stand. With hanging clear vases – or RIMFORSA tube-shaped glasses – it may well pass for a piece of art. Even better, you can follow the progress of your baby plants in fascinating detail. 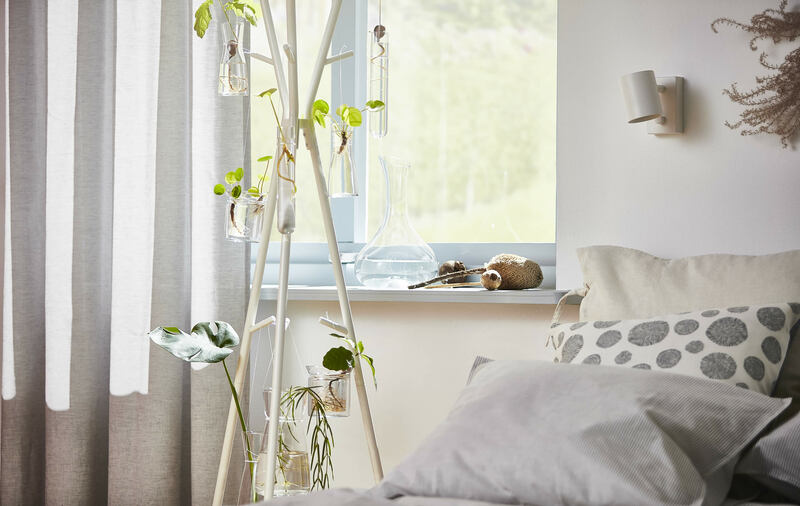 If you have limited space, use a shelving unit and stack your plants high. If you have trouble choosing what to grow – pick a theme! Like tomatoes, jalapeno, garlic and coriander. Voila! 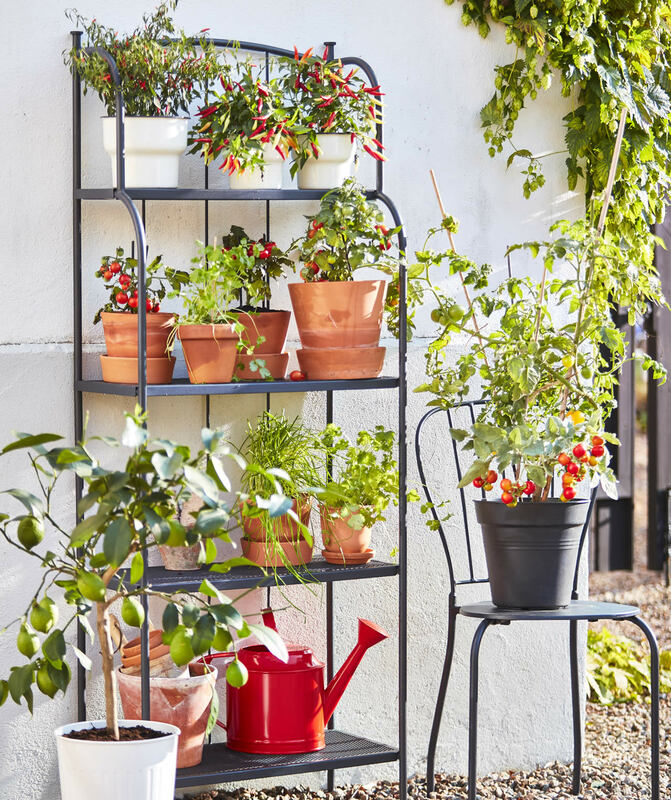 Your very own vertical salsa garden. Share the magic of seeing a plant sprout from a seed. 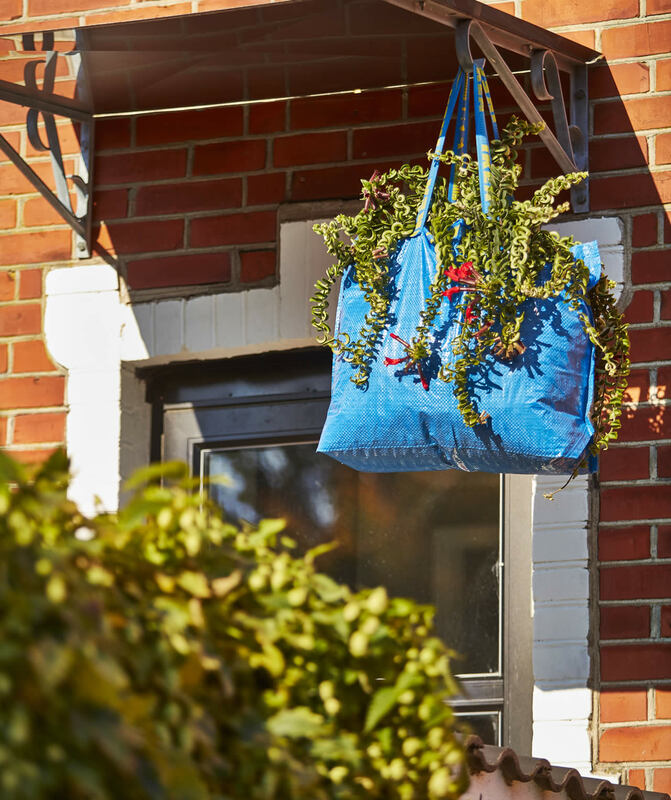 Arrange a decorative plant nursery for the whole family by laying damp cotton balls and seeds of your choice – bean, pea or kernel – in taped-up plastic bags (made from renewable material). No green fingers? No problems! Growing plants may not be for everyone. But even then, we have a flower that’s guaranteed to thrive.